A common theme at Bishop Hill is how policies that are supposed to help the environment actually do the opposite. Examples include biofuels, windfarms, and chopping down trees in the US to burn at Drax. But it’s rare to hear this point made on the BBC, so I was amazed to hear this exchange on BBC Radio 4 Today this morning at about 7:10. Note in particular the section highlighted in bold. Not only was the damage caused by climate policy raised, it was also enthusiastically agreed with by the interviewee. Justin Webb: We are being poisoned when we walk down busy roads. That much we have known for some time I suppose, but what we’re being told today is that we poison ourselves indoors as well: that trendy wood-burning stove, the sprays to make the place smell nice, all of it doing us silent but pretty deadly harm. The report comes from two royal colleges, the College of Physicians and the College of Pediatrics and Child Health. Professor Stephen Holgate is an asthma expert at Southampton University and is actually author of the report and is here. Justin Webb: And that then takes us outside and to the roads, and obviously it’s diesel which is a major contributor. 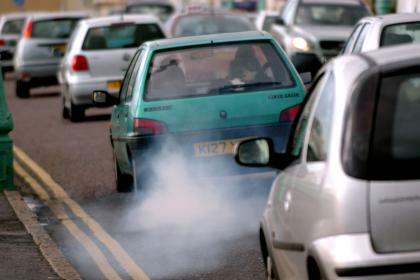 Stephen Holgate: Diesel is the real problem and it’s the oxides of nitrogen from diesel. I mean 50% of the car fleet in the United Kingdom is now diesel engine run, compared to only 14% in 1995, so it’s a massive increase really. JW: Is it fair to say then that we have concentrated on the threat of climate change, on carbon emissions, and that has led to us obviously with diesel cars, with wood burning stoves actually as well, inside, that it has led us to take our eye off the more immediate problem, you could argue, of killing ourselves through pollution? SH: Absolutely. I mean there’s a ten-fold increase in vehicles on the roads since 1949 and when you can see these cars piling up on the way to school, taking their children, the fumes directly from the vehicle in front are being vented straight into the car and exposing the child, and yet we’re ignoring this and this is quite incorrect really, as doctors we’ve got to speak out about this. JW: And take action as well, or tell local authorities, government to take action, in some cases quite drastic action, you’re talking about closing roads? SH: Indeed so, and thinking carefully about what happens when pollution goes acutely up as it does from time to time and local councils have got to take some responsibility in this. JW: Do we measure enough? SH: We do not measure enough in terms of air pollution. There are new devices now that the public will be able to carry with them to measure their own pollution exposure so that will produce some people pressure I think. JW: So you’re wanting, when someone measures, when you realise that a road is particularly harmful at a particular time, you’re wanting that road then to be closed. SH: Well at least built into planning, I mean some forward thinking here, not just completely ignoring it, which is the situation at the present time. JW: Professor Stephen Holgate from the University of Southampton, Thank you very much. “Toxins emitted by Britain’s booming number of diesel cars are fuelling a health crisis that kills 40,000 people a year, a landmark report warns today. Tags: BBC, news, transcript. Bookmark the permalink. Richard Black reminds me that he wrote an article and did a radio programme “Hijacked by climate change” back in 2009, asking whether climate concerns have hijacked the broader environmental agenda (though this doesn’t mention the diesel issue). So is he proud of how far he has fallen? Thanks Alex. If anyone wants to see the transcript of the whole interview, including the bit about indoor pollution which I didn’t include here, it’s all there at Alex’s site.